JEB's Pen Props & Pen Buttons! Do you like a clipless pen but hate when it starts rolling away when you sit it down? Then heaven forbid it should start to roll off onto the floor? Or are you just looking for something unique to add to your pen so it stands out? 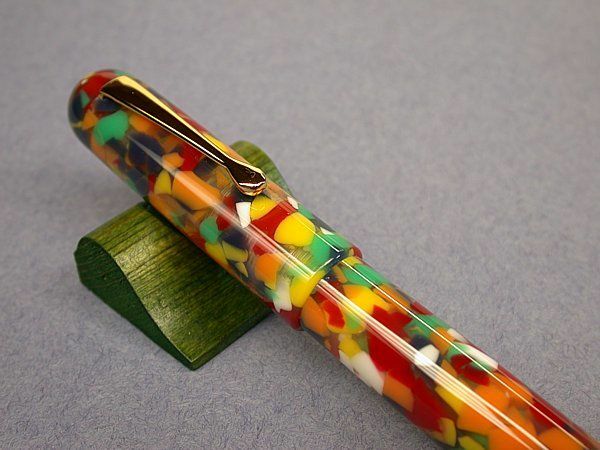 Then no more worries with a JEB's PENS Pen PROP or Pen BUTTON! 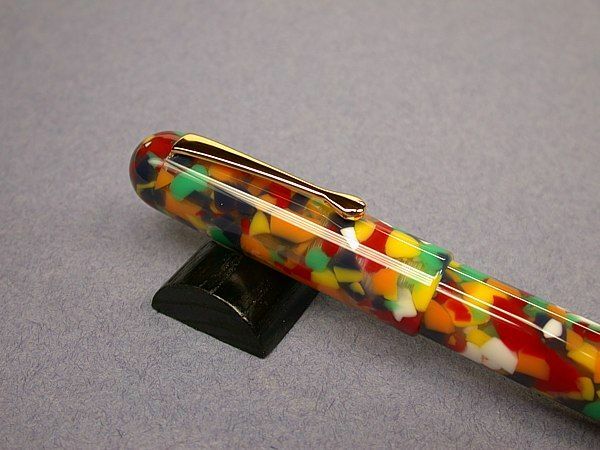 Now you can be secure in knowing your pen will be safe while still displaying it proudly. 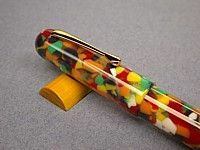 Get a PEN PROP for every surface where you typically place your pen-- desk, dresser, counter or workbench; or to keep it stable no matter where you sit it down. 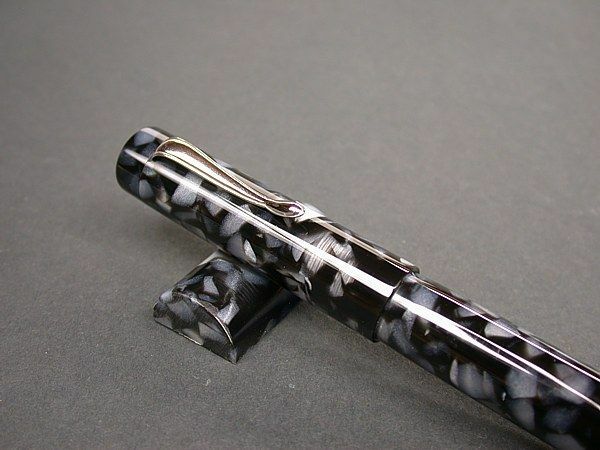 Order one separately, or add one to your pen order! 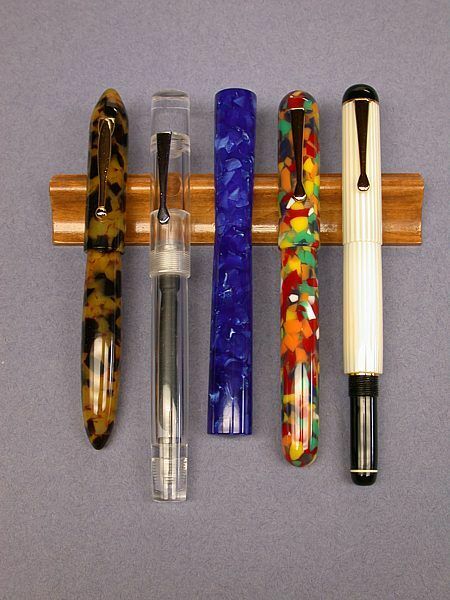 The Pen props are made from acrylic and a variety of woods. Currently there are 4 basic styles: round, box, triangle and fancy. 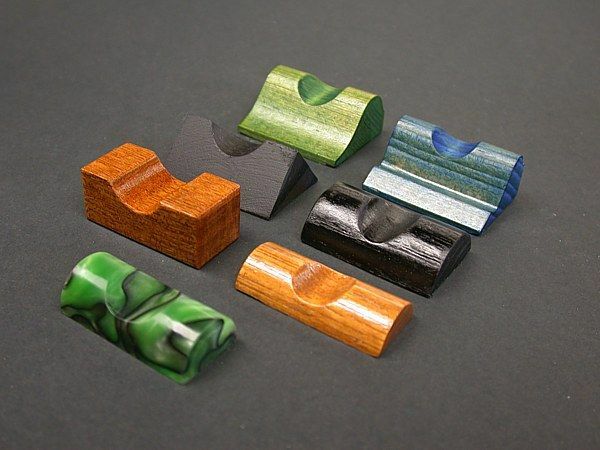 Finishes on the wood props are natural, painted, Transtint™ (a water-based dye). Natural, stained and transtint props are finished with clear lacquer coating to protect the underlying finish. Have a pen collection? 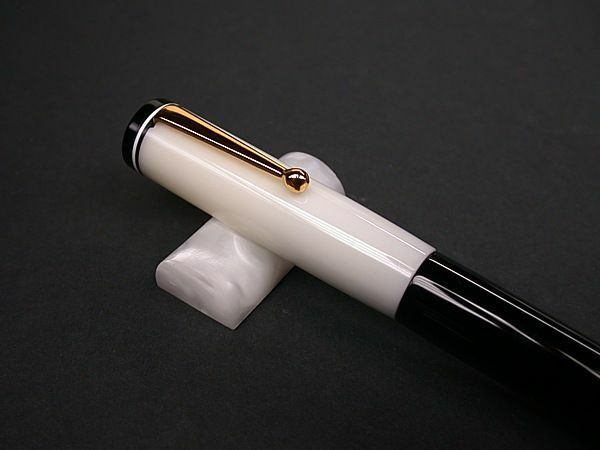 Order a custom Mulit-pen Prop to proudly display your collection. Specifications: All the Pen Props shown are 1 1/2" wide, but can be ordered in any custom width or for multiple pens to be use as a display rack as shown in the bottom photo. Height and thickness (measured front to back) vary by style. 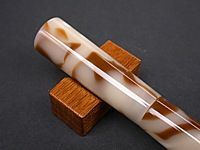 Standard round (actually half-round) are 3/4" thick and about 3/8" high. Large round are 1" thick x 1/2" high. Square is 3/4" thick and 5/8" high. Triangle is 1 1/8" thick x 9/16" high. Fancy #1 is 1 1/4" thick x 5/8" high. Fancy #2 is 1 1/8" thick x 5/8" high. 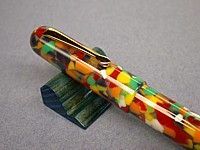 Cost: Pen Props are $10/each or 6 for $50. 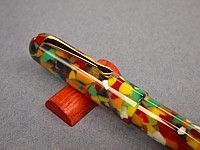 Get one FREE with your FIRST (regular style) pen order! 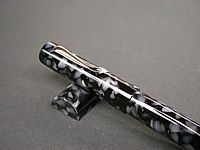 To view samples of the Pen Props, CLICK HERE or scroll down the page. The Pen Buttons are available in a variety of styles and are permanently attached with a backer stud glued into a small (less than 1mm) hole. Typically the Buttons would be installed on the cap, but they could be install on the barrel as well if preferred. 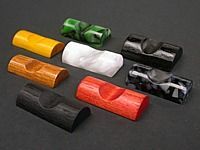 There are currently four different styles available (all shown below), with the glass bead style available in several colors. 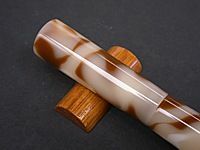 The specifications for each are shown with the photo's below. 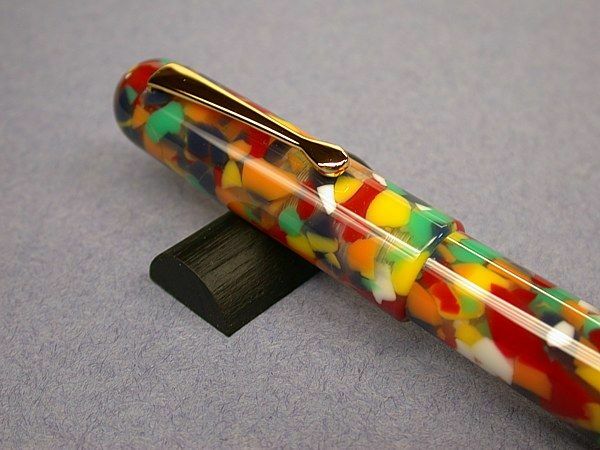 Cost: Pen Buttons are $20/each for the glass beads; and $25/each for the fancy. If you have any questions or would like any additional information on a custom PEN PROP or PEN BUTTON, please e-mail me using the contact link above. 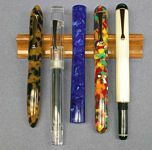 To view samples of the Pen Buttons, CLICK HERE or scroll down the page.